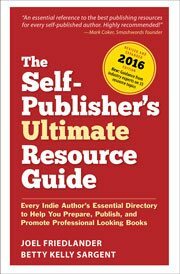 These are heady times for indie publishing and self-publishers. We’re about to enter a real golden age of self-publishing. There is no denying the fact that a whole lot of people have something to say and are busy writing their books. They want to publish, put their thoughts, their history, their research, their story into the arena, and why not? It might seem overblown to call it a golden age, but I think it’s really happening. Now it’s really happening. Authors are walking away from $500,000 publishing contracts. Authors are selling so many self-published books they’ve become media celebrities. Self-published authors have sold millions of e-books in the Kindle store. Agents are now publishers. Publishers have discovered readers. Retailers are publishers, even though publishers seem to be in danger of obsolescence. Yet everyone wants to be a publisher. Their own publisher. Through it all, I haven’t reported the news much. I’m more interested in the effect the news will have. I get contacted every day by authors who want to get into self-publishing, or at least talk to someone about it. Get the big picture. Figure out once and or all if it’s worth it. Should they take the leap? Part of the effect of increasing media attention, stories, writeups in the national press about authors who had great success publishing their own books will be a big increase in the numbers of people trying to do the same. Those of us who self-published in the dark ages of self-publishing, the brief period when it fell, unfairly, into disrepute, are still rubbing our eyes at what’s happening today. Through it all, the book has survived rather well. It’s being pulled and pushed, shrunken and hybridized, but still people read books. Avidly. Tonight I finished a coaching course for a group of subscribers who learned, in six weeks, the entire self-publishing process. The potential of e-learning is tremendous. I’ve gained entirely new competencies with the help of online coaching courses, and that’s why I’m so excited to be bringing this technology to authors who want to master the self-publishing process. I’ll have a lot more to say about this in coming weeks, but there has never been a better time to be an author, and to have a message, a cause, or a story you want to bring to the world. I agree. it’s definitely an exciting time to be an author, especially with so many channels to sell books. Many of these channels were previously closed to authors, but ebooks have changed all of that. I love it! It stemmed from a post I wrote for the Backspace (www.bksp.org) forum, and based on my experience as a traditional pbook designer and typesetter who’s now delving into ebook formatting. Very inspirational, Joel. And so true! This industry has come so far. I remember being an early proponent of e-books at a publishing company I worked at. I fought tooth and nail to get the company to produce them, saying they would be the wave of the future, but I was shot down time and again. Now, look where we are. That same company has converted their whole backlist into e-books. Amazing!